This video showcases the powerful explosions of oxy-hydrogen (Brown’s gas) which accumulates over several injections. The temperature of the impact chamber was 620 degrees and the pressure relief valve was set to 900 psi. After the fifth explosion the pressure relief valve is destroyed. Apparently the higher pressure and the cavitation heating cause molecular separation of the water. The energy released after each of the few injections is significantly greater than the hydraulic mechanical and heat energy used for the injections. This video demonstrates the continuous production of superheat steam at 550 degrees F and the variation in steam production as the injection rate is modified from 7 – 10 injections per second. The steam becomes visible as it condenses in the cooler air. The steam is being produced within a single impact chamber and the injector used is a conventional hydraulic injector with a 7:1 amplified piston yielding an injection pressure of 21,000 psi. 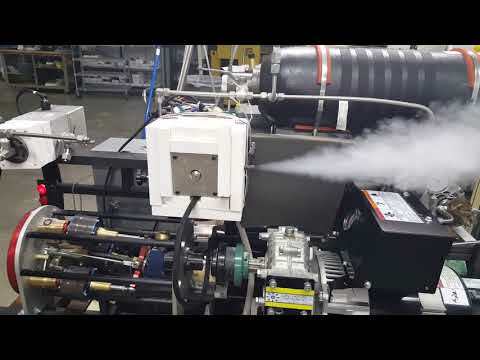 This video demonstrates steam production starting off at a low injection rate. As the injection rate increases to 10 injections/second a violent oxy-hydrogen explosion is observed several seconds into the video. This video demonstrates a four impact chamber early prototype supplying steam to the V-2 engine. The V-2 engine is coupled to a 15 KW generator through a power take off transmission. This prototype uses piezo-electric Ford fuel injectors supplied by a high pressure common rail manifold. A great deal was learned over the course of testing this prototype and this essential information is incorporated into the current incarnation of the Controlled Cavitation Energy System. 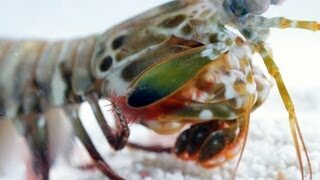 This video demonstrates the power of cavitation in nature employed by the pistol shrimp. The shrimp closes its claws at amazing speed forcing the water out at a sufficiently high velocity as to cause cavitation bubbles to form. When they collapse significant heat is produced approaching 5000 Kelvin and producing flashes of light. 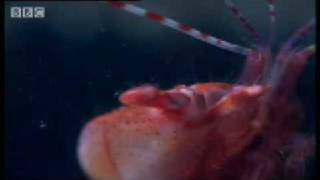 This video further demonstrates the power of cavitation employed by the mantis shrimp. The high velocity of the forelimbs causes the water to cavitate when the limb strikes the prey. When the cavitation bubbles collapse significant energy is released, damaging the prey and also releasing light and heat. The following video and explanation of what is going on demonstrates the heating effect of cavitation. This video documents the activity of a single impact chamber where the heater has been turned off. The injector is pulsing at 2 to 3 injections per second and the resulting steam is being released through a 200 psi pressure relief valve. The video documents the elevation in impact chamber temperature despite the fact that no additional heat is being added and heat is being released in the form of steam. This video presents an overview of the Controlled Cavitation Energy System impact chamber design. The design was developed using Autodesk Inventor. This intermediate design is the culmination of many years of trial and error research into optimizing impact chambers. The impact chamber is a vehicle for converting high velocity, cavitation bubble saturated water, into super heat steam. Notice the impact surface orientation to the injector and the incorporated pressure relief valve. The newly designed controlled cavitation steam system is shown in operation. It is producing superheat steam at an injection rate of 4 per second. The steam condenses coming out of the exhaust tube into 72 degree air. Note the aerogel insulation around the impact chamber containment vessel. The inside temperature is 570 degrees F and the outside temperate is about 90 degrees F. Note the loud banging coming from the impact assembly. You can hear and see the process instantaneously. The newly designed controlled cavitation steam system is shown in operation. It is producing superheat steam at an injection rate of 4 per second. The steam condenses coming out of the exhaust tube into 72 degree air. Note the aerogel insulation around the impact chamber containment vessel. The inside temperature is 570 degrees F and the outside temperate is about 90 degrees F. Note the loud banging coming from the impact assembly. You can hear and see the process instantaneously. There is no leaking and the pressure relief valve is set to 700 psi. As the internal pressure is increased the heat loss decreases. The cavitation energy impact chamber in operation at 900 psi and 500 F. The pressure relief valve is set to 900 psi. Note the explosions occurring after every injection which blow significantly past the 900 psi pressure. When salt water was used the explosions were much more violent, but the important thing here is that the exploding steam is produced continuously. Furthermore, this is completely electronically controlled. When the injection stop the steam stops. Thus, the steam volume output is totally controllable. Eventually this will be under microcontroller control. We made some changes to the external impact chamber configuration. We included a thin brass plate surrounding the impact chamber containment vessel ceramic to reduce radiative heat (infrared) transfer and we increased the diameter of the steam exhaust from 0.180" to 0.307" which implies a substantial steam output volume. The first test completed on December 17 of 2015 at Florida Microelectronics shows the temperature fluctuations within the impact chamber system and confirms the heating despite the loss of heat. This test completed on December 17 of 2015 at Florida Microelectronics demonstrates the power of the explosions coming from the impact chamber. This is the redesigned and improved impact chamber. The design uses 310 Stainless Steel to improve emissivity. The increased emissivity improves containment of the radiant energy. Each injection of water is .275 ml. The output shockwave is quite remarkable. The hydraulic pressure is 3000 psi and a Ford 7.3L power stroke injector is used to apply the tap water to the impact chamber heated to 388 F.
This test completed on December 16 of 2018 at Florida Microelectronics shows the production of seuperheat steam at 1500 psi and 7000 degrees F.The fixture shown here is the latest iteration of our design. It incorporates the hydraulic accumulator, water feed system and injector control unit. In the foreground can be observer a Green Steam Engine coupled to a generator through a PTO drive.